Once a year we head up to the White Mountains as do thousands of others to partake in the fall ritual -- leaf peeping. 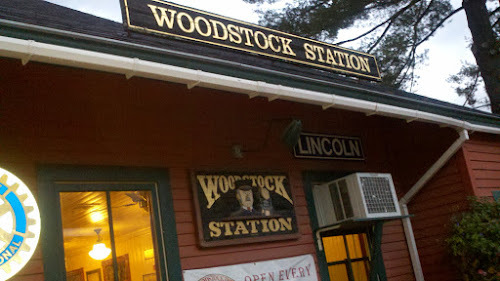 While the weather wasn't the best, we figured this would be a good time to sample some food from a place we have yet to check out -- the Woodstock Inn Station & Brewery. On our way into the town of Woodstock it was starting to get dark. I turned left into their parking area down to the end of a small side street and saw no availability. We circled back around and someone was pulling out of a space and after waiting a few minutes I drove into the spot. As we were walking to the entrance to the restaurant, we noticed the sign and accompanying construction site. There was no doubt that this was foliage season, the restaurant and bar were crazy busy. After checking in at the hostess station we were told that it would be about an hour wait. Surprisingly given the size of the crowd, my wife scored a couple of seats at the bar. Ordinarily, I don't drink brown ales but I was in the mood for something different and decided to sample their award winning Pig's Ear. My wife prefers girly drinks and and her choice was the pomegranate martini. The ale was amazing, strong but also smooth at the same time. Sadly, the martini was disappointing. While on the subject, the bartenders were not the friendliest, at least smile and act like you are happy to see customers. A short time later we were seated in the Clement Room. This cozy area combines light colors with comfortable red booths. Although there are several dining rooms throughout we were pleasantly surprised by this space. Our waitress stopped by and gave us the same menu that we had in the bar. 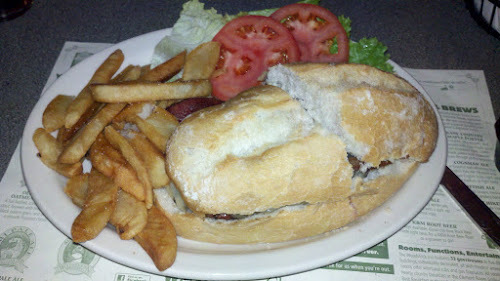 I thought the dinner menu was different but it appears that they are using the same one in all of their dining rooms. You will find a mix of just about everything including chicken, shrimp, steak, pizza, pasta and Mexican dishes along with soups and sandwiches. 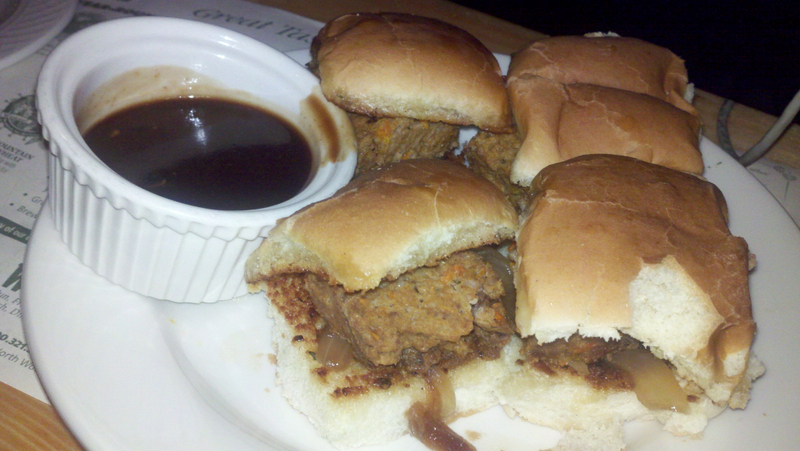 The meat was tender and fresh so these were a good choice. The service could have been better. Our waitress seemed frazzled and it could be that she had too many tables. 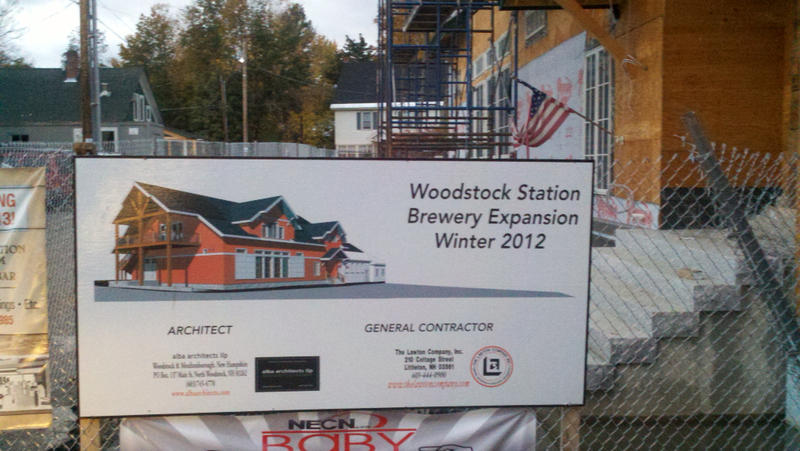 I recommend the Woodstock Inn Station & Brewery. 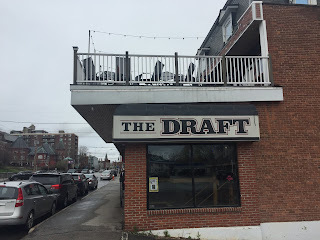 If you are in northern New Hampshire you should check them out and don't forget to try the ale.